We were introduced to this gorgeously smooth chocolate by a fellow chocoholic. Since then we've been trying to sneak it into everything. Delighted to be asked to create a divine smoothie bowl by Lucocoa Chocolate. We cannot decide whether is too decadent for breakfast or too healthy for a dessert. Try it & let us know. Smooth, elegant and deliciously decadent. Using a ban marie gently melt 8 chunks of Lucocoa Naturally Blonde chocolate and coconut oil. 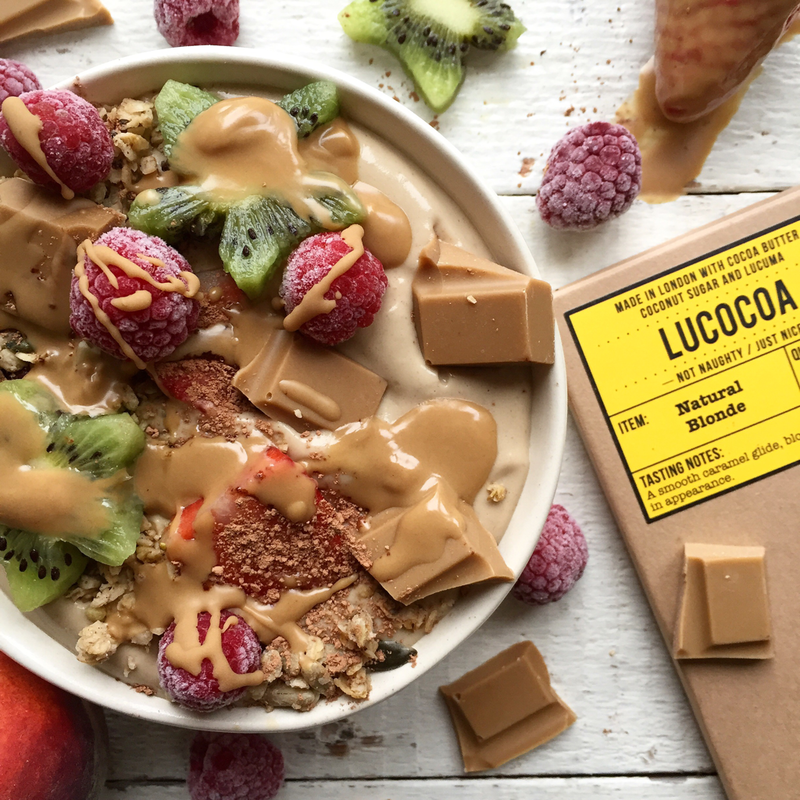 Spoon the smoothie into a bowl, scatter with fruit and drizzle with melted Lucocoa Naturally Blonde chocolate.